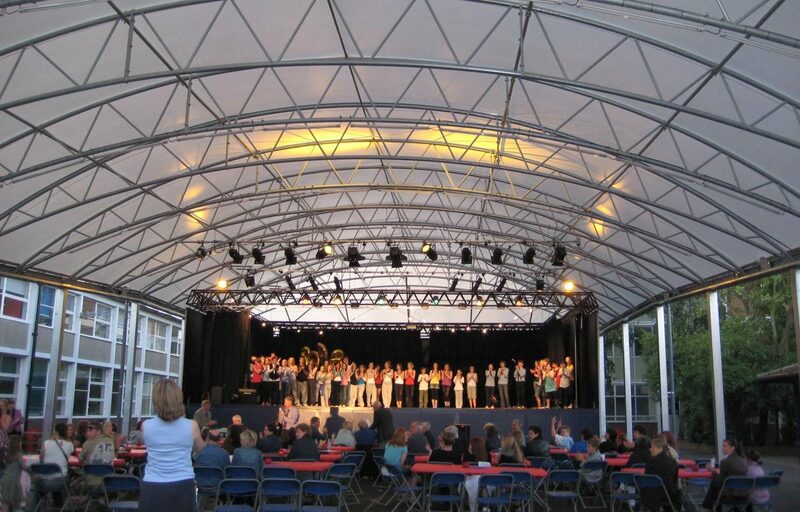 Canopy creates performing arts theatre for school in Middlesex. 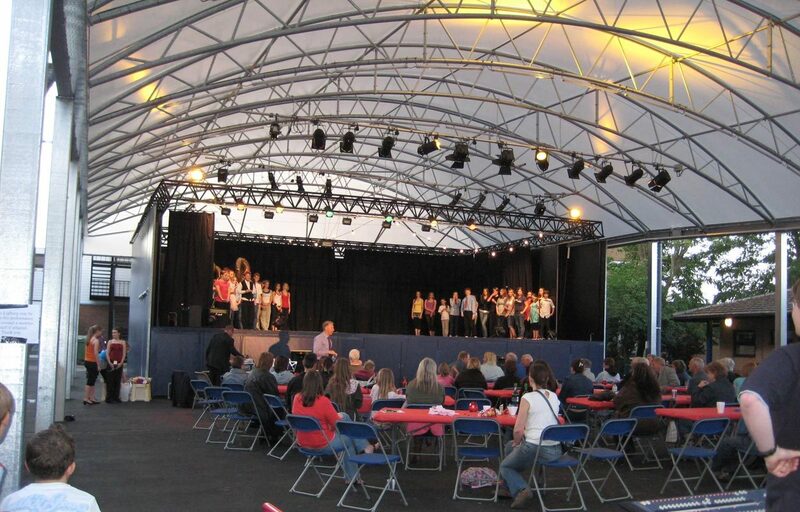 Our taper trellis canopy design has the ability completely transform large outside spaces into fully functional, weather protected areas suitable for performing, learning, socialising and dining. 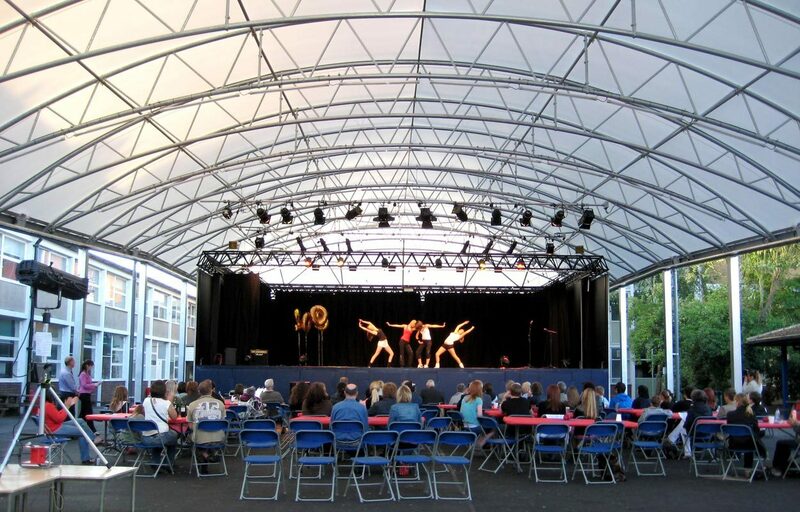 This barrel vault design for Thamesmead School in Shepperton provides an extension to the main school building suitable for a number of functions. The structure utilises an Opal 60 fabric roofing solution. This fabric was designed exclusively for Fordingbridge and is known for its longevity, high tear strength and fire resistance. Fordingbridge is a fully CE mark approved manufacturer of steel fabrications. This robust structure can be powder coated in any standard RAL colour of your choice.